Throughout history, humans have struggled with addictions to various things, such as alcohol, drugs, and even certain behaviors. With the opioid epidemic continuing to sweep the nation and an estimated 15 million adults with an alcohol use disorder, treatment centers and rehab programs are filling up at record rates. Every person’s journey with addiction is unique and requires a different level of care. But it’s important to remember that natural treatments sometimes often provide alternatives to hospitalization and pharmaceutical medications or at least supplement existing care. Here are some natural approaches for addiction and recovery that may help you or a loved one move past substance use issues. Drugs and alcohol add toxins to the body that stand in the way of normal and healthy functioning. That’s why many addiction recovery programs have a detoxification component to rid the body of what’s weighing it down. Although doing a detox is not recommend for people who are experiencing withdrawal symptoms, it is often useful for those in later stages of the recovery process. This process may include periodic fasting, juices, herbal teas, and fiber-rich foods to negate the constipation effects of opioid use. Nopal cactus and seaweed are also used for internal cleansing and detoxification. These recommendations tie into the greater realm of dietary changes that many people recovering from addiction can benefit from. Individuals going through addiction recovery should eat well-balanced meals with lots of fresh produce, whole grains, nuts, seeds, and lean animal protein. Meanwhile, foods rich in omega-3 fatty acids can help to fight off negative moods and stress, as well as control inflammation and promote bodily healing. In addition to healthy whole foods, some medical practitioners recommend certain natural herbs and supplements to assist the addiction recovery process. For example, a natural herb called milk thistle has restorative properties that support healthy liver functioning. Ginseng is another natural herb sometimes used in addiction treatments. Meanwhile, B-complex vitamins are recommended because many people are deficient in B vitamins after heavy drug or alcohol abuse. L-glutamine, an amino acid, can also be supplemented into the diet to aid detoxification and for mood stabilization. Acupuncture is an ancient Chinese remedy used to treat a wide variety of health concerns, and addiction recovery is no exception. Research studies have found that acupuncture can help some people overcome addictions to opiates, although the outcomes are less clear for individuals tying to move away from alcohol and nicotine. Also, massage can help the body to relax and relieve stress, making it a great part of holistic treatment therapy for addiction. Exercise is a great idea for everyone, but people working to get over an addiction can really benefit from it. Yoga is a commonly recommended exercise because it helps people connect their minds and bodies to strengthen both components. In a similar way, meditation helps to clear the mind and is offered as part of many holistic treatment programs. Meanwhile, other more intense forms of exercise, such as running or weightlifting, can provide recovering addicts with tangible goals that are positive and encouraging with the right support systems in place. If you are committed to natural health, it should come as no surprise that the things that help people overcome addiction are also what promote healthy lifestyles for everyone. In addition to the ideas discussed here, there are numerous other types of therapy that you can explore as well, including animal therapy, art therapy, and social groups that encourage sharing personal experiences. Some people try hypnosis as part of a natural treatment strategy to overcome addiction as a way to tap into the subconscious mind and connect more deeply to the past, present, and future. 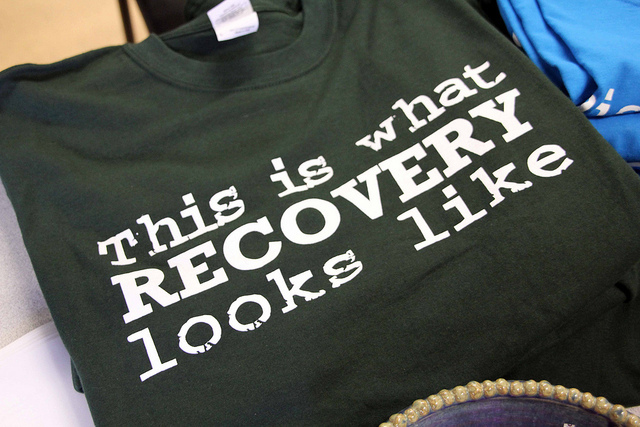 But regardless of which treatment approach you try, the road to recovery can be a long and challenging one for people who have an addiction and their families. Natural approaches like these can help build upon the momentum of rehabilitation programs to live a healthier and happier life for many years to come.